A breakthrough night cream. A "must-have" product that defines the next generation of age defying skin care. If you only use one anti-aging product, this is the one you need! Formulated with a combination of the newest, fastest acting, most powerful anti-aging ingredients available, PM provides optimal moisture and leaves a velvety feel on the skin while restoring elasticity and firmness. It reduces the appearance of fine lines and wrinkles and increases the skin's clarity, radiance and brightness. The skin appears fuller and smoother. Best of all, benefits are achieved without the redness or irritation associated with other anti-aging products. Myristoyl Pentapeptide-17 is one of the newest and most potent anti-aging peptides. It stimulates collagen production and increases the skin’s hydration and resilience. Myristoyl Nonapeptide-3 is a new technology that gives results similar to retinoic acid but without the irritation. It increases cell turnover and promotes collagen synthesis. 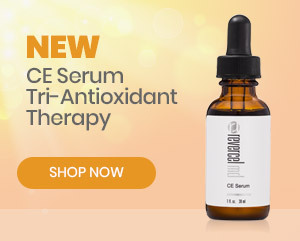 Ascorbyl Lineate and Ascorbyl Glucoside (Vitamin C) are stable, bioavailable forms of Vitamin C that provide antioxidant protection, collagen boosting, skin lightening, skin conditioning and decreased hyperpigmentation. Tocopherol (Vitamin E) provides additional anti-oxidant protection. Kojic Acid fights age spots, brown spots and liver spots. Promotes skin lightening and evens skin tone. Ubiquinone (CoQ10) prevents oxidative stress and photoaging and reduces the depth of wrinkles.